Marble Slab Creamery, a gourmet ice cream company known for its “frozen slab” technique (http://marbleslab.ca), recently hosted Motivational Franchise Speaker Scott Greenberg to conduct a leadership seminar at their annual franchisee conference in Calgary, Alberta. The seminar took place on February 29th, 2012 at the Sandman Hotel & Suites in Calgary. Among the attendees were franchise owners and their staff, as well as the corporate executives of Marble Slab Creamery Canada. Greenberg’s two part seminar focused on the topics of “Leadership: Internal Mastery, External Results” and “The 360 Degrees of Customer Service”. Greenberg’s presentation was customized for the franchisees based on employee data and surveys collected from corporate executives along with independent franchise owners and staff members throughout various locations. Greenberg used this feedback to develop segments of his message. Surveys were distributed to franchise owners directly from the corporate offices and sent to Greenberg for evaluation. “Owning my own business franchise has allowed me to understand the franchisee perspective,” says Greenberg, who owns an Edible Arrangements franchise in West Hollywood, CA. “I’ve learned that business success requires more than operational mastery. It also requires mental mastery.” Greenberg’s program discussed ways for business owners to develop personal resilience, confidence and interpersonal skills. Applying these concepts to his own business, his store has won awards for “Best Customer Service” and “Manager of the Year”. 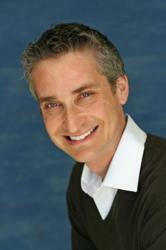 Greenberg is a professional business speaker specializing in resilience, peak performance, and emotional intelligence. His personal battle with cancer and inspiration from his “Schindler’s List” holocaust surviving Grandmother are the basis for some of his motivational stories. Since 1993, Scott has spoken to a variety of organizations looking to improve their leadership, customer service and work environment. Clients include Nike, Cargill International, the United Nations and the U.S. Department of the Interior. Scott has written three books on leadership and is a contributing author to “Chicken Soup for the College Soul.” For more information about Scott Greenberg, visit http://www.scottgreenberg.com or call 1-800-450-0432 (or outside the U.S. 1-818-785-5202).